This product is available to preorder now for delivery to you in mid May. 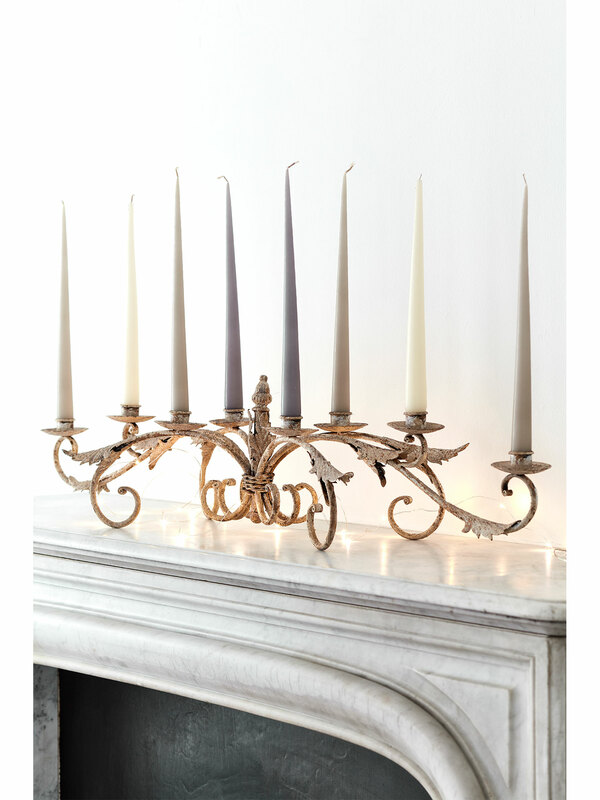 The ultimate centrepiece, this staggeringly beautiful iron candelabra holds 8 candles and looks incredible on mantlepieces, consoles and table centres alike. Mix and match different coloured candles for a fun lift, or stick with elegant greys and creams for a truly classic feel. 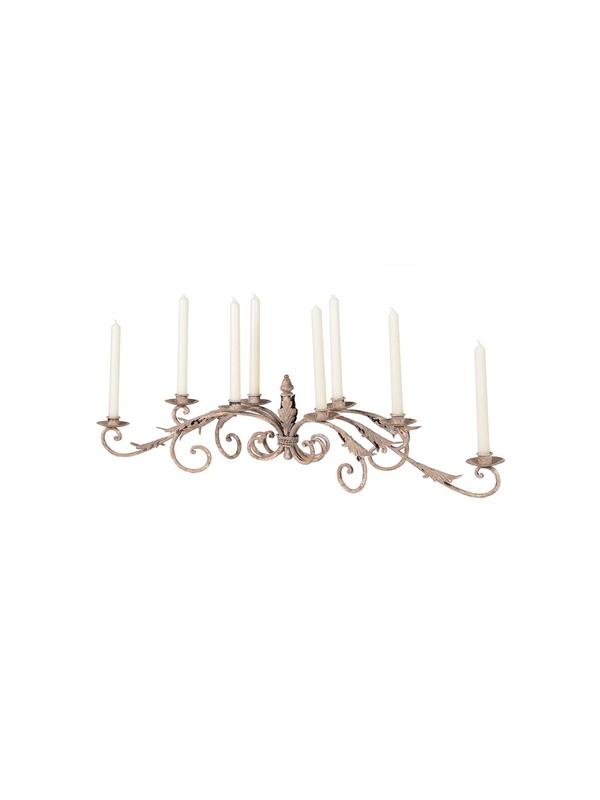 Care: Your candelabra should sit flat with all of the candle-cups facing upwards, however please note that the iron is malleable so if this is not the case it will very easily bend to sit correctly.